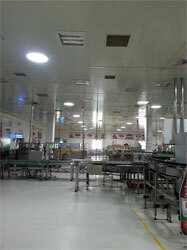 Daylight harvesting systems, Daylight Harvesting, daylight harvesting system design, Gujarat, India. We Would like to introduce ourselves as supplier of the DAYLIGHT HARVESTING SYSTEM. DAY LIGHT HARVESTING SYSTEM collects ambience light from the roof top, concentrates it and brings it inside the shed thru 95% + reflective patented tubes and is finally diffused inside thru custom made patented multi lens diffusers. 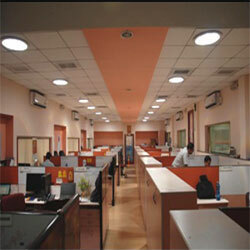 We also provide custom made day lighting solutions. There is virtually no heat builds up during strong sunlight. Negligible heat transfer.